“Talisa” is a Creek Indian word meaning “beautiful waters”. 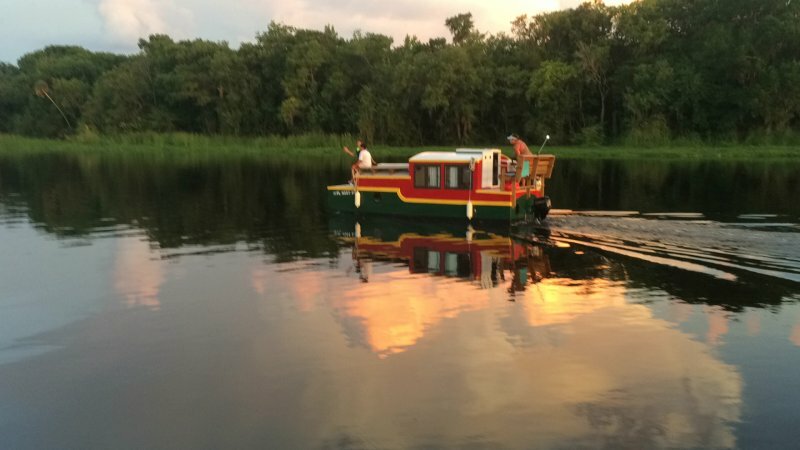 Designed specifically for shallow protected waterways, Talisa has been perfect for exploring the waters and backwaters of the St John’s River and springs of Central Florida. With a forward double cabin forward, a head, galley, settee, and single aft cabin, Talisa has been perfect for extended trips and admired for her unique style and full functionality.